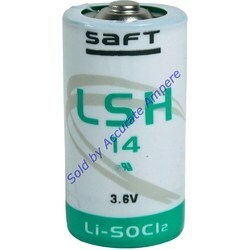 The Saft LSH14 cylindrical primary lithium cells are based on Lithium-Thionyl chloride (Li-SOCl2) chemistry and feature high surface area spiral electrodes for maximum current capability. 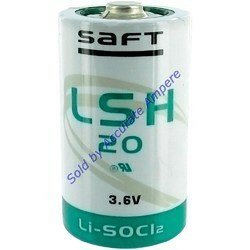 The LSH14 is designed for applications requiring continuous currents in the 0.1-1.8 A range, with superimposed pulses as high as 4 A.
aft LS26500 primary Lithium cell, is based on the Lithium-Thionyl chloride (Li-SOCl2) chemistry. 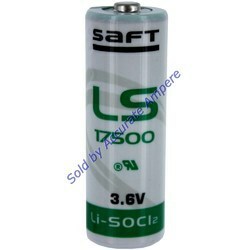 The LS26500 key features are the concentric electrodes (“bobbin”) construction that enables maximum loading of active materials and corresponding energy. 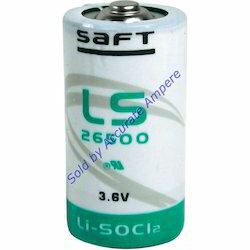 The LS26500 cell is designed specifically for long-term (3 to 15 years) applications, featuring a few UA based currents and periodic pulses, typically in the 5-150 mA range. 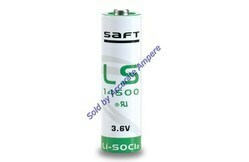 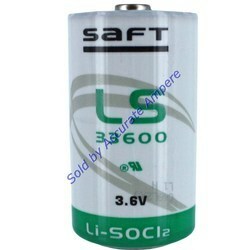 Looking for SAFT LISOCL2 LITHIUM BATTERIES ?